Roving Bandit: Are South African kids worse educated than Tanzanian kids? Are South African kids worse educated than Tanzanian kids? 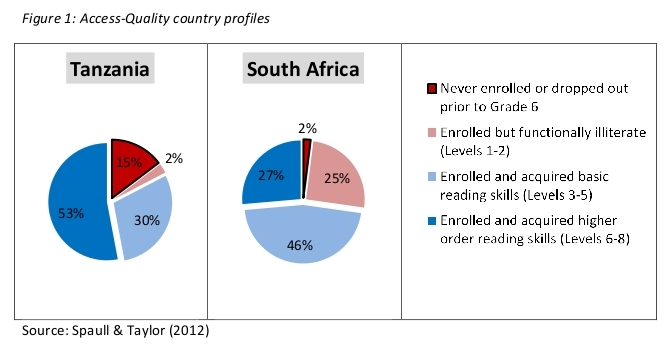 Although South Africans are more likely to actually be in school, they are also more likely to be functionally illiterate. From an integration of measures of access and quality for primary education by Nic Spaull and Stephen Taylor. They call it "effective enrolment" and I like it.